I continue to read articles like this one, listen to podcasts, read the research and participate in Webinars that address why Millennials are leaving the church. I don’t doubt the wisdom, research or the observations of those who have studied this tragic trend, but some of the uniquenesses ascribed to the Millennial generation do cause me concern. Though this generation is surely unique, I am not so sure as is ascribed. First, my biases: I grew up in the Midwest (Michigan) but went to college in a very liberal environment during the turbulent early 1970’s. Even then in my college town, weed was in essence legalized because possession was paid like a parking ticket via mail. There were no infractions written for years in spite of people smoking it on every street corner. The bathrooms in my dorm were coed, including the showers; so little was left to the imagination. In this environment, I came to know Christ as my Lord and Savior. I experienced his redeeming grace and my life was slowly transformed. I have been married for 40 years and lived the last 30 years in Orlando. Here I have enjoyed relating to people far from God, more than church folks. This was primarily due to the authenticity I found in the hearts of people far from Christ, rather than simple rule following practiced by those who were ‘church folk’. So having been a child of the Church as well as a student of the Word for over four decades. I love the Church and believe with others that the Church is the Lord’s plan for hope in our world. I have given the best years of my life trying to serve His Church, His Body, in whatever way I can. My Lord has taken me many places and allowed me to serve in many roles in so doing. However, I am challenged by the outworking of the Church, which we call the local church. So with this background you can appreciate my angst with articles on Millennials leaving the church as an unoriginal emotion to me. In fact, as a Boomer, I had the same exact reaction as today’s Millennials when I attempted to get involved in a church as twenty-something. People told me I was too young, too idealistic, and simply hadn’t lived long enough to know how churches really should operate. And besides, I needed to wear a suit and tie because I had to look my best for Jesus. Well now, forty years later I am still convinced that churches need to be about building disciples who can change the world together through each believer uniquely playing their part. 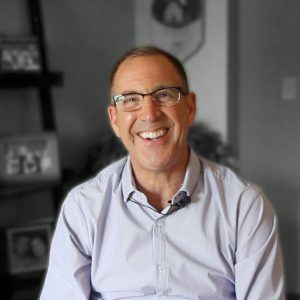 And Jesus really doesn’t care if I wear a tie; as I told that elder back then, “Jesus sees me in the shower naked, so He doesn’t care what I wear.” The Builder generation talked of the Boomer generation leaving the church. Now the Boomers talk of the Millennials leaving the church. The reality is less people as a percentage of our population are engaged in a local church. Fewer love Jesus and live for him by being a disciple and building disciples. And the trend is not getting better, it is getting worse. The church that didn’t build disciples 40 years ago still isn’t building disciples. I could have listed almost verbatim these same reasons for leaving church in the 60’s and 70’s. Except I would have said, “Belief Statements” instead of “Mission Statements.” Or helping “those in need” rather than just the “Poor”. But everything else applied directly. That is why so many of us decided to start our own churches beginning in the 80’s. We Boomers started and built churches that aligned with our cultural values which looked much different than those of the Builders. Mega churches flourished as marketing and professionalism proliferated; just as we did with our sports teams, grocery stores, and coffee shops. Look at how it ended up today: Millennials are saying the same thing about many of those churches that the Boomers started. We found that size really didn’t matter; loud big churches didn’t build disciples any better than smaller quiet ones. Let me suggest that the problem isn’t about the qualities of one generation to another. Each generation has unique cultural particularities that are forged through intellectual, psychosocial, economic, geo-political and many more influences. But, the local expressions of the church find great satisfaction and stability in meeting the needs of those already assembled. Typically at the expense of building disciples of people far from Christ. Essentially, the church is sacrificing the needs of the unreached, for the comfort and satisfaction that comes with serving those already in the church. When we talk of making disciples, it is understood today to mean attending a bible study, rather than learning to follow the thoughts, words, attitudes and behavioral patterns of Jesus. One such pattern is that Jesus reached out to everyone: the wealthy, the tradesperson and the outcast. He didn’t elevate any one group over another. He sought to build wholeness into all of their lives and help them replicate that process in others. It was about understanding the unique needs of every individual and allowing Christ to transform them from where they are. This is why the church exists, IN EVERY GENERATION. As generations change to reflect different practices, the church must change to reflect different practices. It is that simple. Obviously the church in Jerusalem was much different from the church in Colossae or any of the gentile churches (See Acts 15). Not because the gospel was different, but because the cultures were different, and so the practices were. 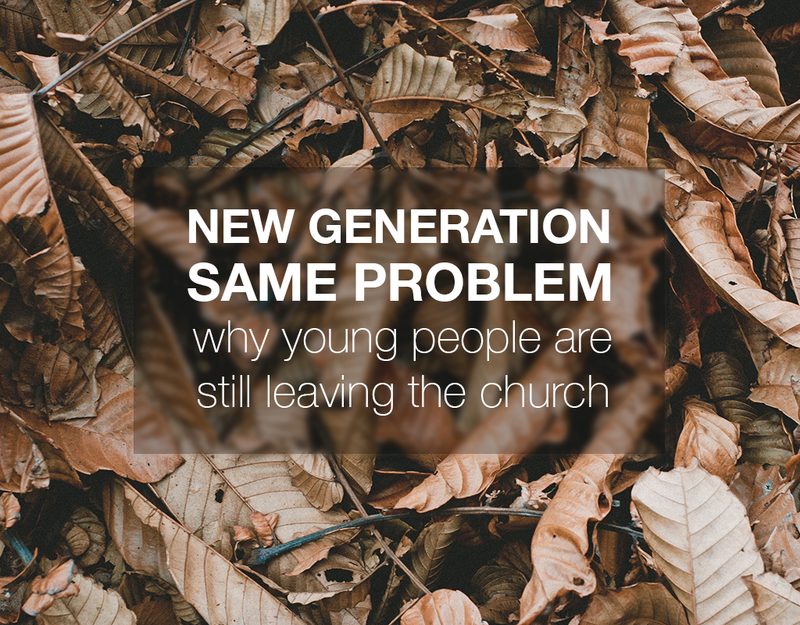 It is a shame that Millennials, like the Boomers before them, are leaving the church in droves. They too can start new churches or reform old ones to reflect their own generational values. 40 years from now, the next generation will be leveling similar criticisms to what are listed above. We need to learn to meet people where they are, and not leave them there. We must make disciples who make disciples instead of church attenders. Previous Spiritual Sickness: Maybe It’s the Flu!